Marc and Greg return from the holiday break to review Voltron Legendary Defender Season 8 on Netflix and the entire series on the whole. We will still be reviewing single episodes in more detail over the next several weeks. Also, our first guests of 2019 are the organizers of VoltCon!, and they have a special announcement! We want to thank Kevin Clark (Con Chair) and Patrick and Savannah O-Connor (The Shake Ups), the organizers of VoltCon!, for joining us on this podcast. Check the website at https://voltcon.org for all the latest news and developments, as well as tickets. VoltCon! is coming to Indianapolis, Indiana on October 19-20, 2019, and your podcast hosts, Marc Morrell and Greg Tyler, have been invited as guests to present a few panels to attendees. As this is the debut of a new convention with a focus on Voltron, and other big-bot franchises, like Transformers, Power Rangers, RoboTech, Pacific Rim and more, there is limited space and the number of attendees will be limited as well. We are excited to be a part of the first-ever Voltron-themed convention! We will let you know when additional guests are added and when more information is available. Get your tickets NOW, before they are sold out! Marc Morrell and Gregory Tyler administer Let's Voltron, the official podcast. For the past five years, Let's Voltron has been bringing the fandom exclusive interviews, episode analyses, and news on all aspects of the franchise. As such, Marc and Greg are in a unique position to provide insight into the past, present and future of Voltron. In addition, Greg commandeers the spiffy site Lions and Pilots and Bots, providing a wide variety of news and reviews on Voltron and related franchises. The Voltron Legendary Defender Volume 3 Trade Paperback from Lion Forge Comics is available NOW at Comic Book Shops everywhere, and will be shipping from Amazon.com on January 22nd. Look for it on Store.Voltron.com as well, where you can get the individual issues from all volumes, too! Although we are reviewing the final season of Voltron Legendary Defender in this podcast, please keep coming back to future podcasts for more detailed episode reviews, comic book series reviews, and hopefully, more guest appearances and interviews for Voltron Legendary Defender. Don't forget to follow us on Twitter, Facebook, Instagram, YouTube, and check out our TeePublic store for lots of Voltron swag, by clicking on the icons at the top of this page. 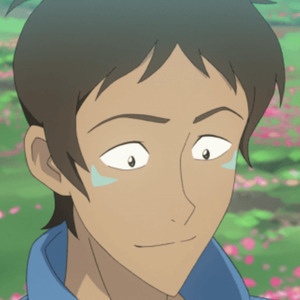 Also, if you have an Amazon Alexa device, feel free to enable the "Let's Voltron" skill and get a different Voltron quote every time you say, "Alexa, Open Let's Voltron," which provides hours of fun for Voltron fans!